Eric Ambler, A Coffin for Dimitrios. Eric Ambler was born in London in 1909. Before turning to writing full-time, he worked at an engineering firm and wrote copy for an advertising agency. His first novel was published in 1936. During the course of his literary career, Ambler's name became synonymous with the genre of suspense, action, adventure, and intrigue in foreign lands. Many of his now-classic works were adapted as films. For his achievements, he was awarded two Gold Daggers, a Silver Dagger, and a Diamond Dagger from the Crime Writers Association of Great Britain, was named a Grand Master by the Mystery Writers Association of America, and was made an Officer of the Order of the British Empire by Queen Elizabeth. In addition to his novels, Ambler wrote a number of screenplays, including A Night to Remember and The Cruel Sea, which won him an Oscar nomination. Eric Ambler died in 1998. 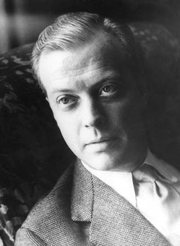 Eric Ambler is currently considered a "single author." If one or more works are by a distinct, homonymous authors, go ahead and split the author. Eric Ambler is composed of 6 names. You can examine and separate out names.